The Compact Eye Shadow from delilah is a rich, ultra-blendable eye shadow available in both matte and shimmer finishes for a range of looks. The matte shades offer an ultra-refined texture with intense colour pigment, while the shimmery shades glide onto the lid with a creamy coverage and convenience of a powder. 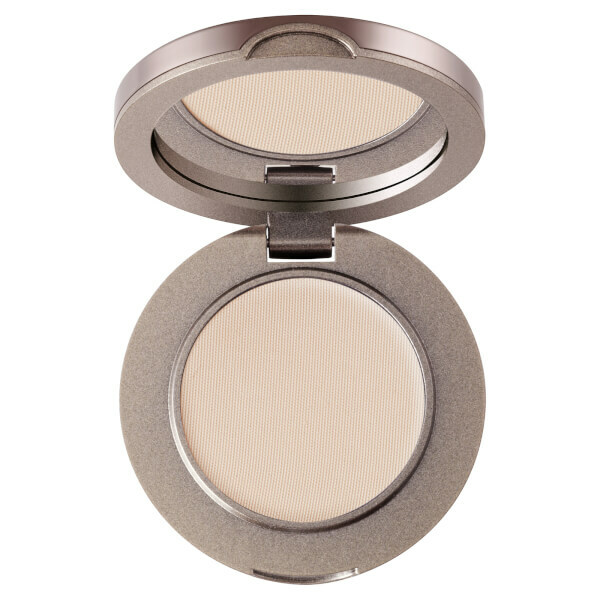 Wear alone for a subtle wash of colour or layer for buildable, professional looking results. For a simple defined eye, select two shades, a medium and a dark shade. Use the delilah Eyeshadow Brush to apply the medium colour to the eye lid, from the lash line to the socket line. Carefully blend and soften with the brush. Now use the delilah Eye Definer Brush to apply a little of the darker colour along the lash line and a little into the socket. To finish, blend again using the delilah Eyeshadow Brush. Talc, Nylon-12, Caprylic/ Capric Triglyceride, PTFE, Cycolpentasiloxane, Silica, Zinc Stearate, Sorbic Acid, +, CI 77491, CI 77492, CI 77499, CI 77007, CI 77510, CI 77742, CI 77163, CI 75470, CI 77891.